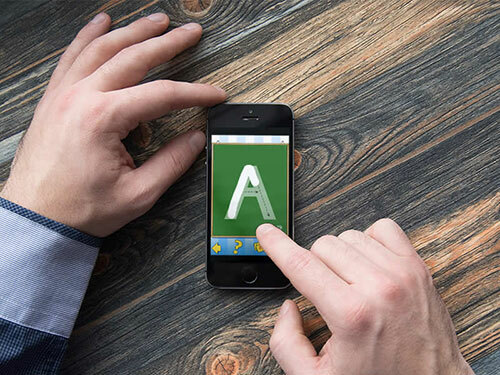 This app is an iPhone alphabet learning app created for our German client Quinto. They required us to create a creative learning app with the detective theme to it for children, to make learning a fun experience! The app is designed with the subject matter of Commissioner Kugelblitz who is on a letter-hunting spree! At the cool detective panel kids learn how to write all the letters in the alphabet. Whoever can write a letter that goes with the Commissioner on a photo safari, what things you discover with you at home, beginning with that letter and many more such interesting features are included. Sneaking in and taking a photo is another added element that amazes kids. This way kids can make their own letter-album with pictures and learning words, while learning how to write alphabets. An informative, entertaining and appealing app with immense interactivity was delivered!